Founded in 1986 by John Franken and Steve Polli, Franken-Polli Company is a professional construction company specializing in whole house remodels, kitchen and bath renovations, room additions and custom homes. It is our mission to exceed your expectations, ensure your satisfaction and turn your dreams into reality. Upon graduation from Kansas State University with a degree in Architecture, John set out on his career in Kansas City, Missouri. He worked for seven years for various architects before starting his construction company in 1986. 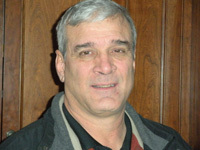 John has been involved in the National Association of the Remodeling Industry (NARI) for 15 years. He has held the position of President and currently serves on the Ethics & Bylaws Committee. John and his wife, Dee, have four children and a big ole Labrador retriever, Charlie. 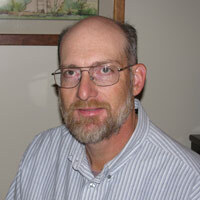 Steve obtained his degree in Construction Science Engineering from Kansas State University in 1982. He began his post college career as a superintendent for a contractor building nuclear power plants in Illinois and Indiana. Steve’s principal job duties were in quality control, inspections, and systems analysis. Steve has a unique ability to recreate or re-engineer existing elements and systems. He puts his many years of jobsite experience to work in creating new systems and structures that integrate seamlessly with existing buildings. Steve and his wife, Cindy, live on their farm in Leavenworth with cows, a horse, and his lovable German Shepard, Max. Copyright 2010 © Franken-Polli Co.
Website Designed by Century Marketing, Inc.